Rental of dive computer & underwater torch. 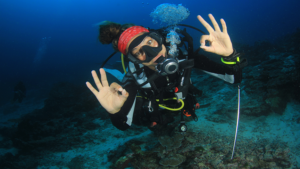 PADI "Adventures in Diving" e-manual & PADI certification. ORCA Dive Centre Dive log book. 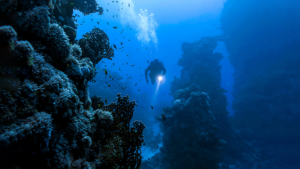 As a certified scuba diver you’ve already experienced the thrill of exploring parts of the underwater world, but know there's more to discover. Ready for your next dive adventure! 10 years old to participate in these Adventure Dives: AWARE - Fish Identification, Boat, Digital Underwater Photography, Peak Performance Buoyancy, Underwater Naturalist, Underwater Navigation, Underwater Photography, and Underwater Videography. Open water training – 5 Adventure dives conducted off one of our dive boats exploring the amazing coral reefs and marine life around Dibba Wreck.